WILLIAMSPORT, Pa. -- A Pennsylvania woman who police say drove around with her newborn daughter's body has been jailed on abuse of a corpse and other charges. 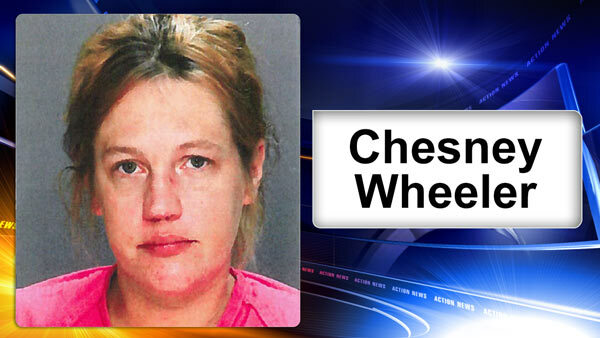 Old Lycoming Township police say 37-year-old Chesney Anne Wheeler gave birth at home near Williamsport on April 12, then kept the child's body in a cardboard box in her car until it was found the next day outside Wilkes-Barre General Hospital. Online court records don't list an attorney for Wheeler, but police say Wheeler told them she drove to an out-of-town hospital because she feared doctors would find out she had smoked crack cocaine and used heroin the night before her daughter was born 2 months premature. Police say and autopsy couldn't determine if the baby was born alive. Wheeler remained jailed Wednesday and faces a May 10 preliminary hearing.